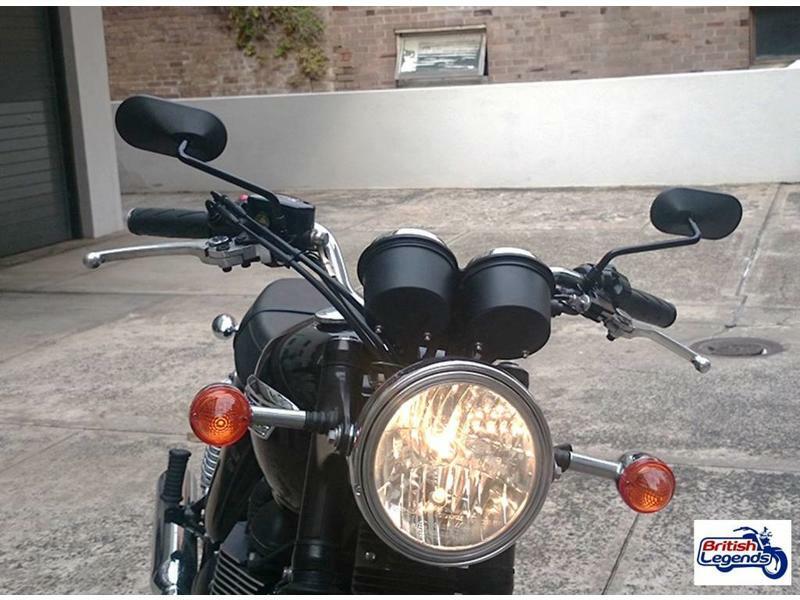 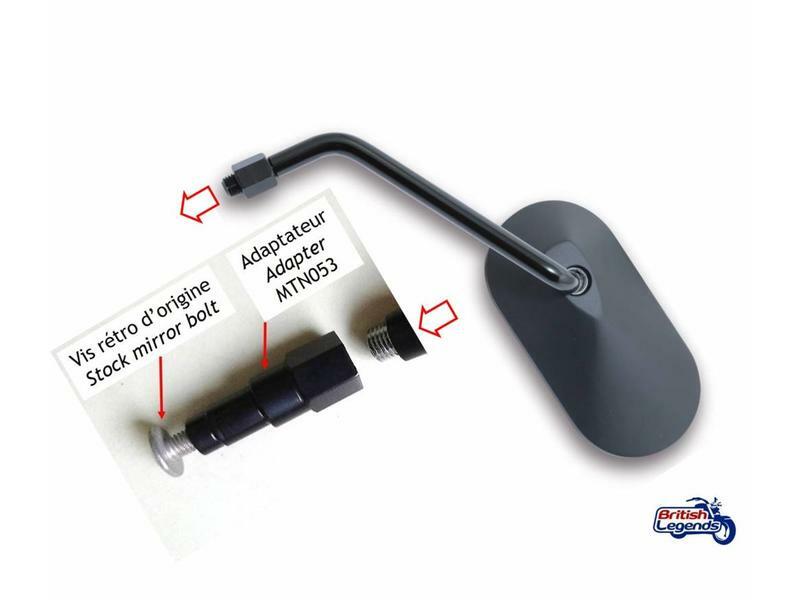 Not suitable for the new Bonneville T100/T120 from 2016+ (adapters are in development). 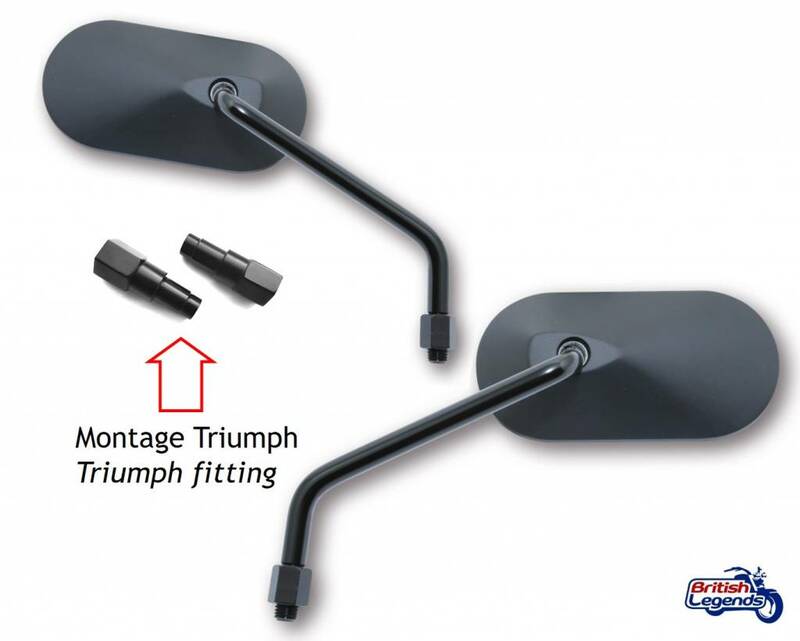 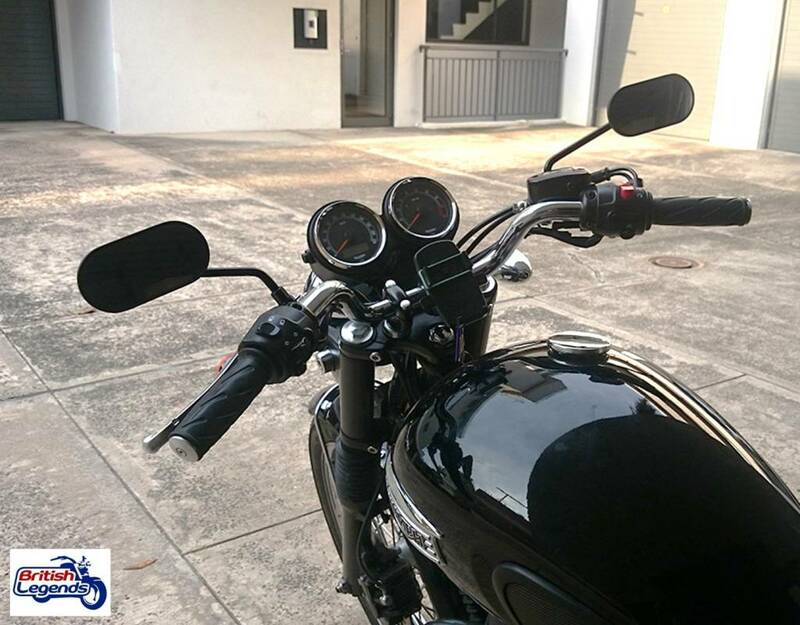 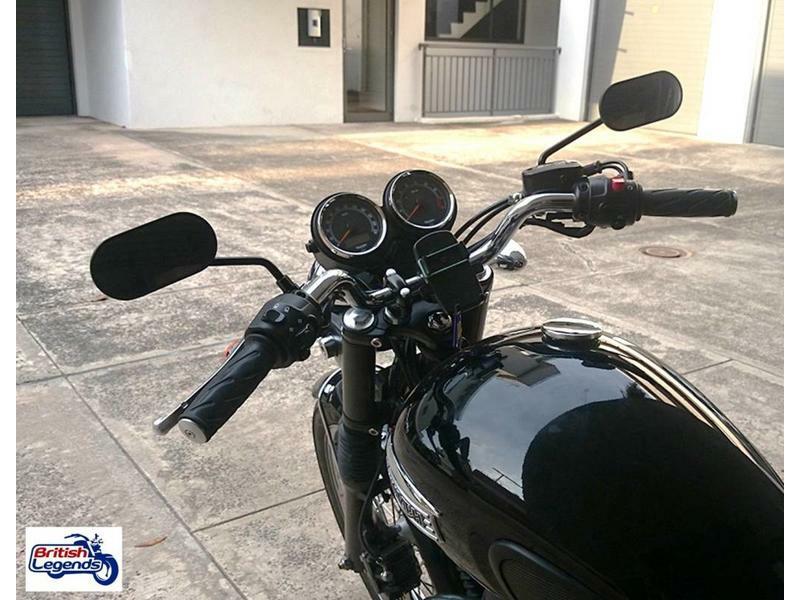 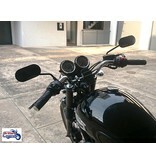 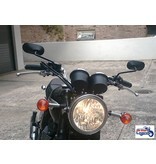 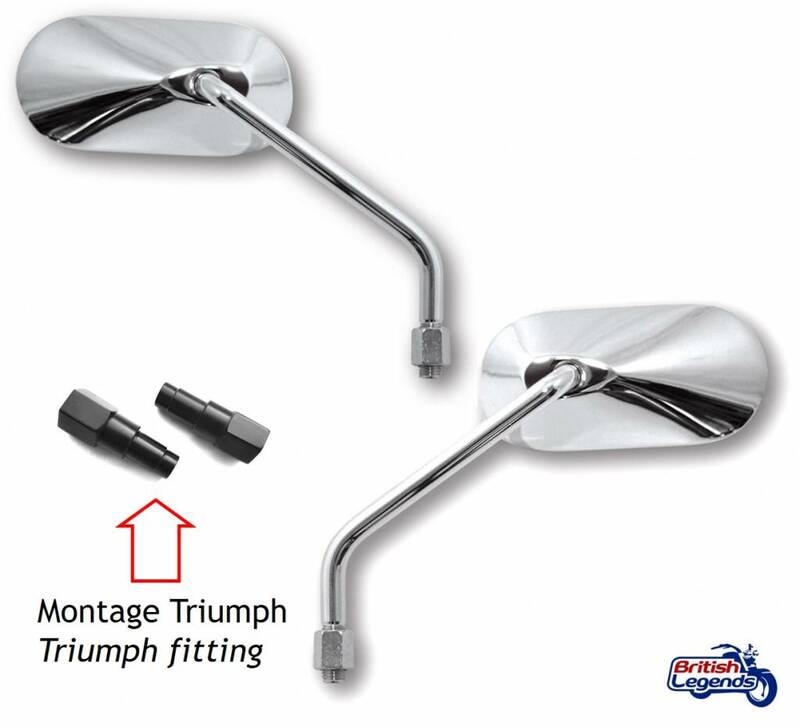 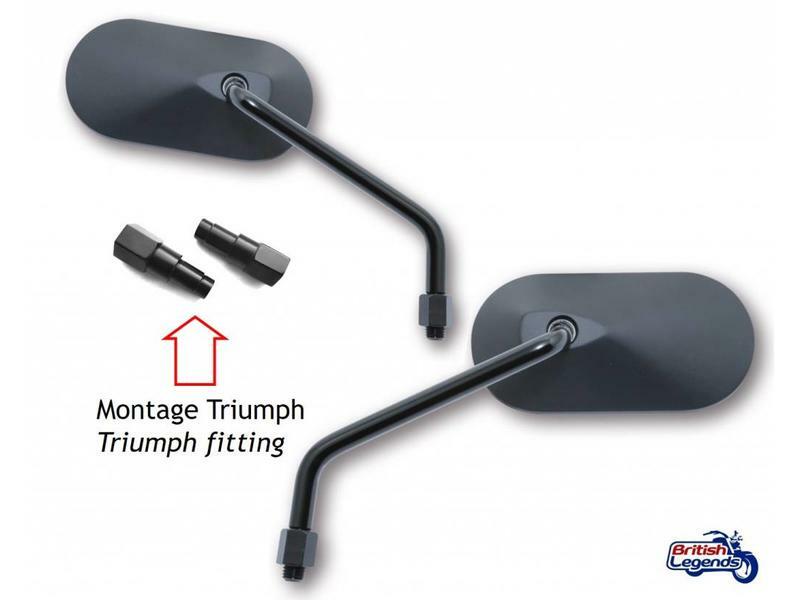 Also on direct-fit for Kawasaki W650/W800. 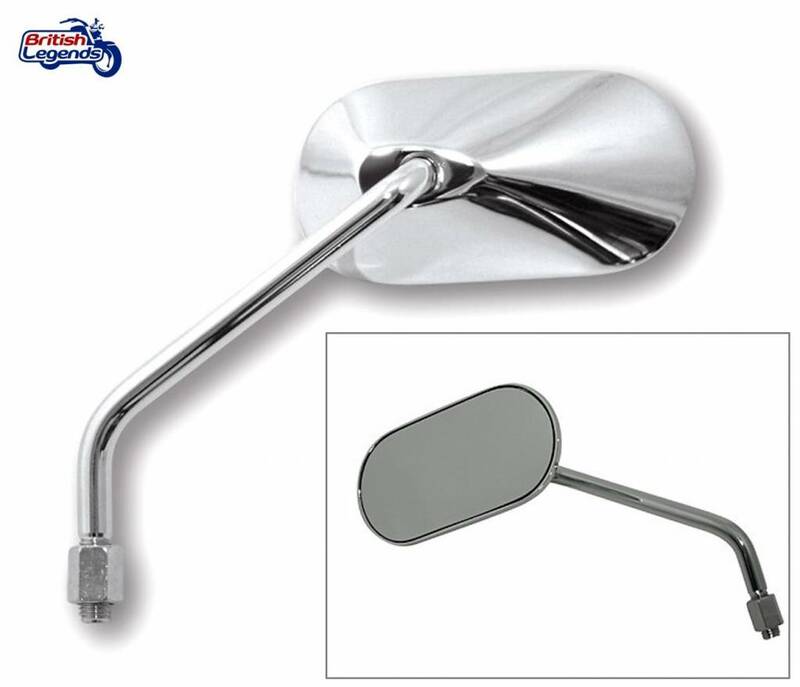 Aluminium mirror casing on stainless steel arm. 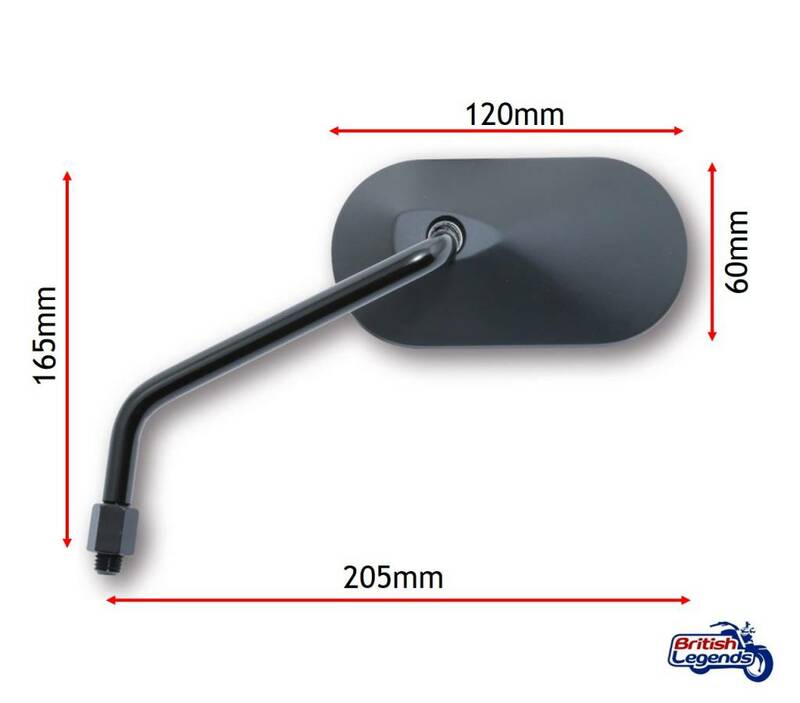 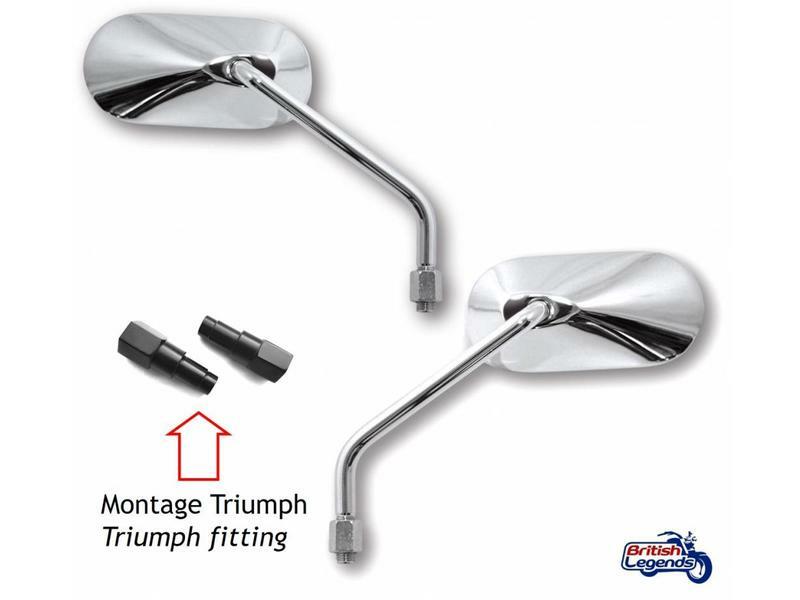 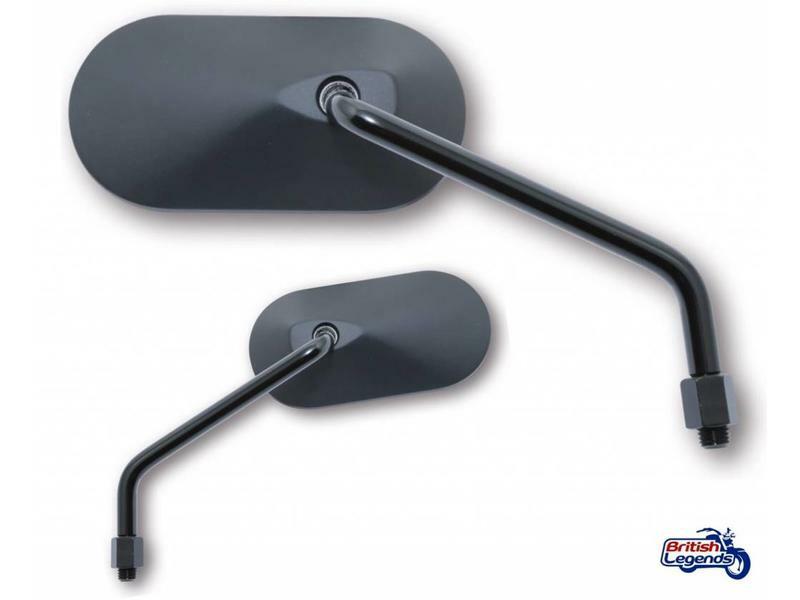 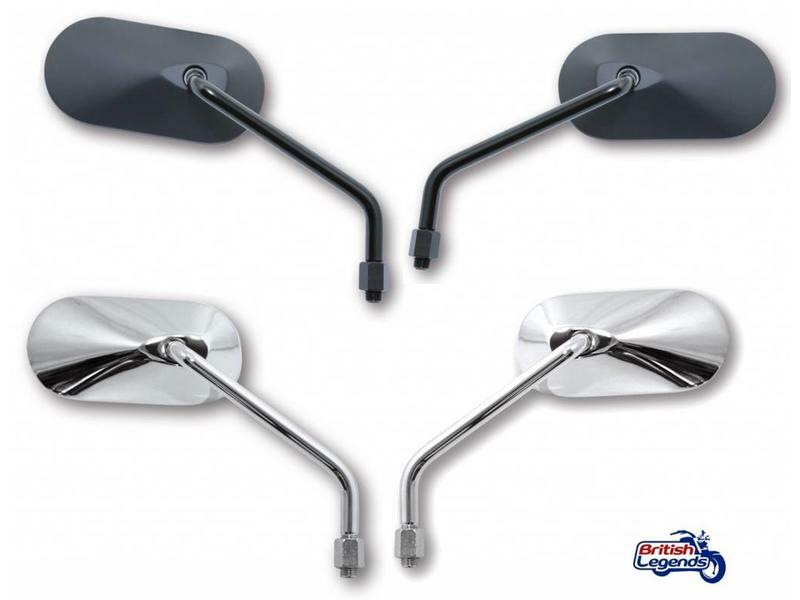 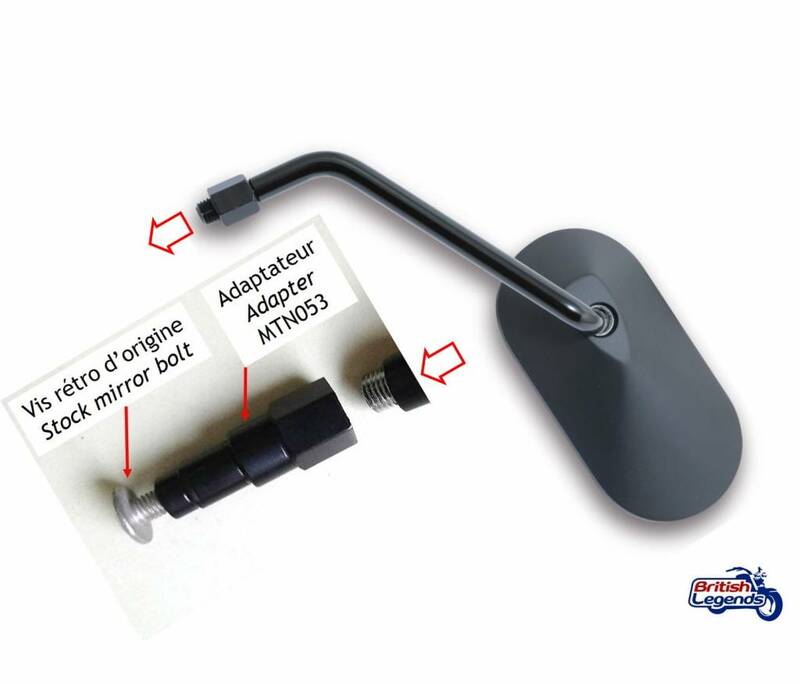 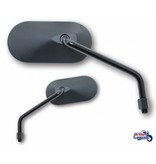 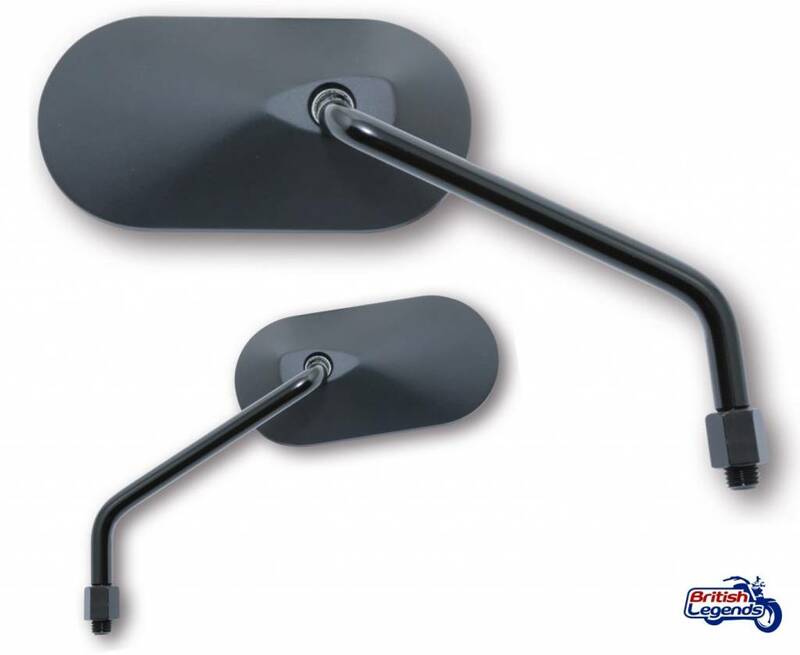 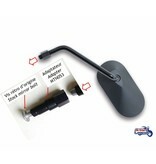 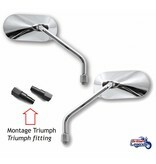 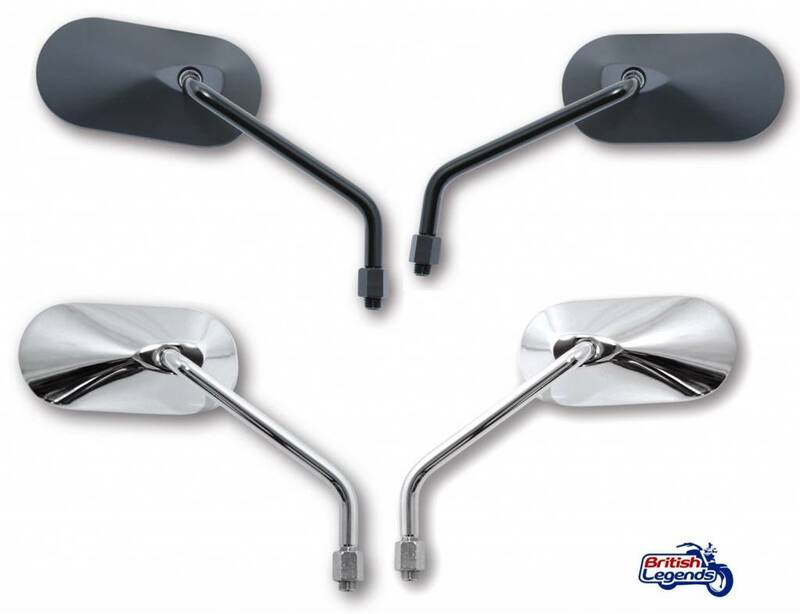 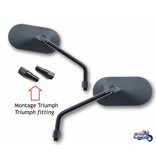 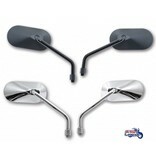 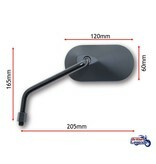 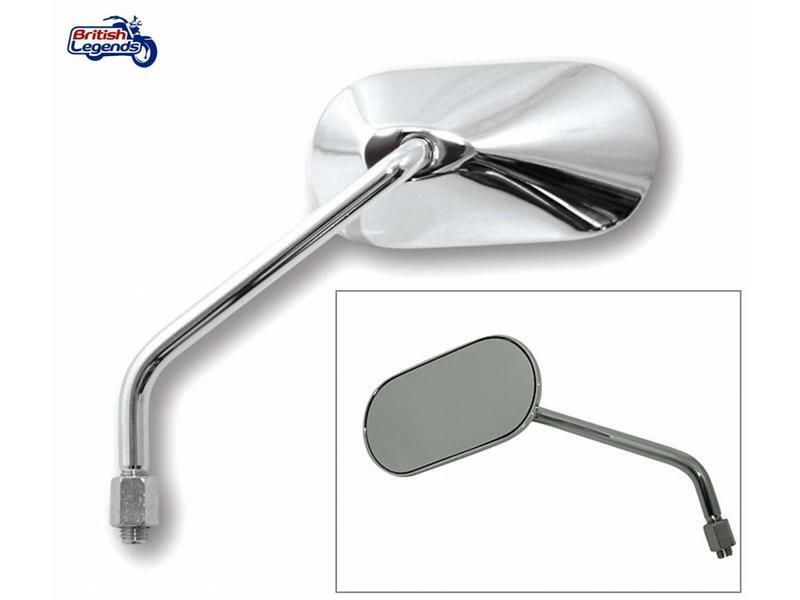 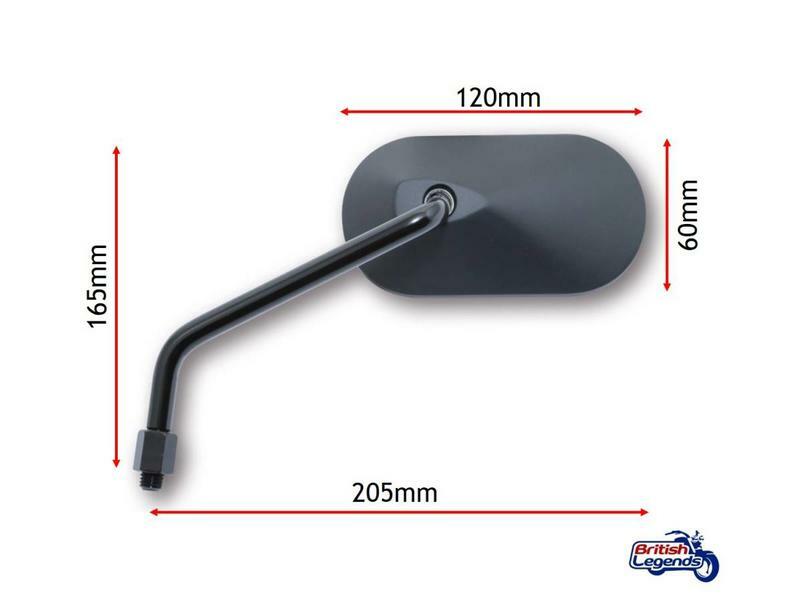 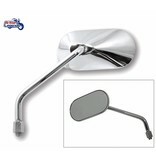 Metal bar-end mirror, chrome or black finish. 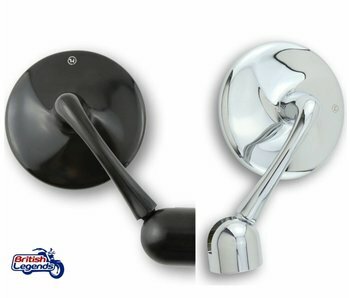 Symetrical design, fits RHS or LHS (or both if you take quantity = 2!